Compare rates and policy options to save money on your Dodge Dart car insurance. The original Dodge Dart was produced from 1960 to 1976. The new Dart, resurrected in 2013, bears no resemblance to the original except for the name. The Dart is Dodge’s only compact sedan model, since it discontinued the Neon in 2005. In 2013, the Dart was marketed with Fast & Furious 6, although the car never appeared in the film. Founded in 1900 by a pair of brothers, Dodge’s roots are one hundred percent American. The company was originally a supplier, but by 1915 had begun building complete cars. When the Dodge brothers died in 1925, the company was acquired by Dillon, Read & Co. and then sold to Chrysler in 1928. In the last three-quarters of a century, the brand has changed hands multiple times, and its most recent acquisition was in 2011 by the English company Fiat. In May of 2014, Fiat announced a major restructuring of the brand. Going forward Dodge will be Fiat’s performance-focused brand, somewhere between Chrysler and Alfa Romeo. When the Chrysler Group merged with Fiat in 2010, they gained access to Fiat’s body styles. The Dodge Dart is built on a Fiat platform. The Dart is sold under the name “Fiat Viaggio” in China. Drivers comment that the Dodge Dart doesn’t feel like a compact car; its interior is well-designed and roomy. Air conditioning, power locks, and cruise control are not standard, however. 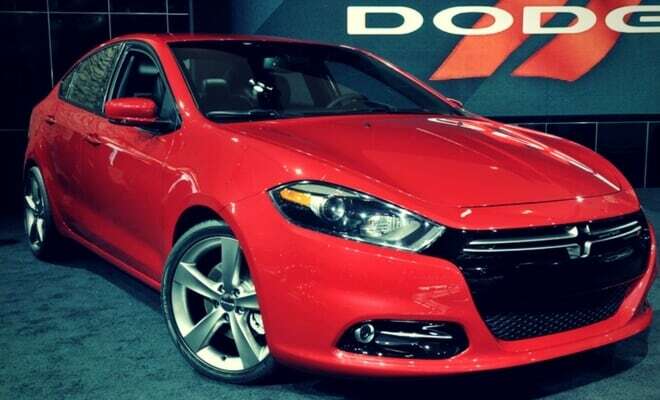 The Dart is reportedly sporty to drive, and the steering is responsive. However, the Dart is not as powerful as comparable cars in its class, and other comparable cars are quicker, lighter, and their base packages get better gas mileage. The Dodge Dart performs either poorly for its class or well for its class, depending on the engine. A base Dart with an automatic transmission gets 24/34 mpg city/highway, which is on the low end of the spectrum. Upgrade your engine to a turbocharged 1.4 liter engine, however, and your Dart will get 28/40, which is very high for the class. Looking to insure your Dodge Dart? Compare multiple Dodge Dart auto insurance quotes, side by side. Get fast, accurate auto insurance quotes within minutes.